Jersey is among the world's top kayaking destinations, with a wealth of expeditions offering an experience for everyone. 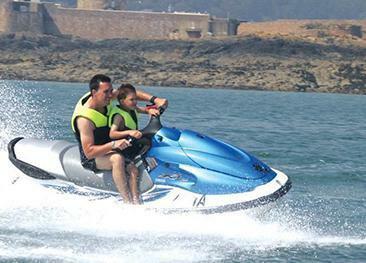 Explore the seas, inlets, coves and beaches around Jersey, without leaving your seat! Jersey is among the world's top kayaking destinations, with a wealth of expeditions offering an experience for everyone. 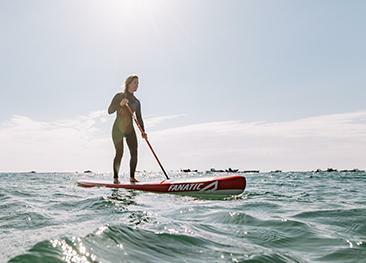 Whether you're a beginner looking for a quick paddle or an experienced kayak expert looking for a day-long journey around the island's seas, there's something for you. Kayaking is a great way to explore the parts of Jersey that other boats can't reach. Find your own private hideaway, see the Island's wildlife close up, kayak through the west coast surf, skirt an offshore reef, or simply enjoy a quiet paddle in a beautiful bay. Whichever you choose, a number of local companies offer canoe or kayak hire. Jersey Kayak Adventures offers tours around the beautiful coast of Jersey that are suitable for paddlers of all ages and all abilities. With their fleet of modern sit on top sea kayaks you can reach remote coves and beaches, explore caves and get close to the wildlife. Tours can last from a couple of hours to an overnight trip to an offshore reef. They also offer trips suitable for families with young children. All tours are led by qualified kayak instructors accredited by the British Canoe Union. All equipment (including wetsuits) is inclusive in the cost of the trips. Bush craft experts, kayaking, rock climbing, abseiling. Booking essential. Open during May - September. Ages 2 and above. Open during July - August. Ages 5 and above. Fast, intense, exciting. Let yourself live a little and rip it up on a jet ski in Jersey. 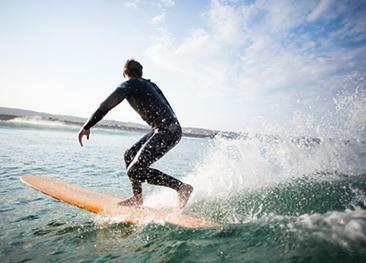 Don't miss the chance to try one of the world's most exciting sports, on one of Europe's best surf beaches. The fast-growing sport of stand up paddle boarding (SUP) is a fun, easy way to go play on the water.